On Saturday 27th July 2013, Nikki became Mrs Swift when she tied the knot with Jamie. 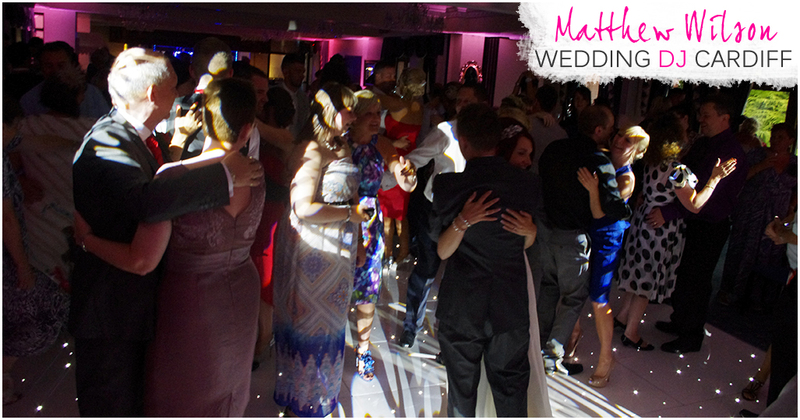 I had met Nikki and Jamie after they found me on Google when looking for “Wedding DJ South Wales”. I visited their house to discuss their wedding plans in detail which then led to them making a booking for my services. The wedding reception was being held at the Peterstone Lakes Golf Club, which is based just outside of Cardiff. The events team was extremely helpful and accomodating. We worked together to ensure the room looked perfect for the wedding couple and their guests – which it did. 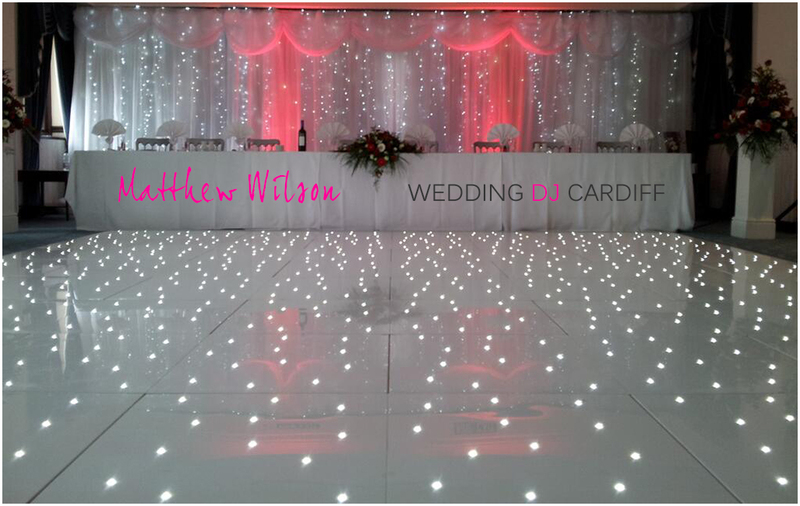 The Wedding DJ Cardiff team installed the starlit dance floor hire, uplighting, 9m starlit backdrop, a background music system for wedding breakfast music and for the speeches during the day, which would later be expanded for the evening entertainment. 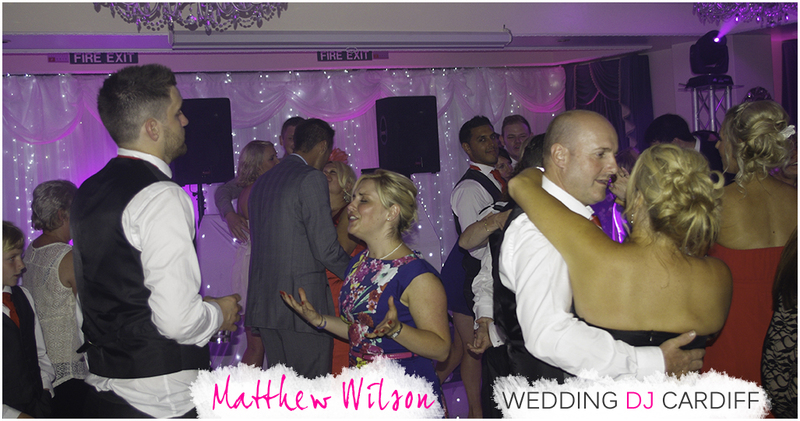 The first dance was Elbow – One day like this, Nikki and Jamie danced their first dance together as husband and wife then asked me to call on the guests to join them on the dance floor. It was at this point that the party got underway. 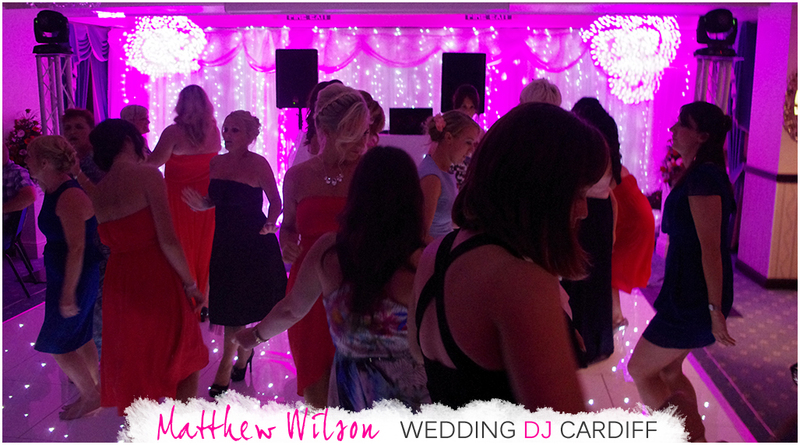 The dance floors was packed for the entire evening – with the exception of the moment I announced the buffet was open! The food was fantastic, I was really impressed! It was definitely up there with the best I have seen (and sampled). There isn’t much to report on from here on in as the guests just had a fantastic time! The starlit dance floor certainly saw plenty of feet throughout the evening and cleaning it back to crystal white afterwards was challenging! The night drew to a close at 12 midnight, with the guests chanting for more – but the coach driver tapping his foot! It was a really enjoyable day and evening, I’d better give the speeches a mention too because they were hilarious! The groom was in tears of laughter during the best man speech and so were many of the guests. Thank you Nikki and Jamie for making me part of your amazing wedding day. I wish we could do it all again!